Outside of it being the picture perfect night and in check of a great waiter who was nothing less than perfect, my little sister got terribly lost and that set the stage for the entire evening. I’ve never quite laughed so hard between the bites of what I would consider one of the best meals I’ve had in my hometown. 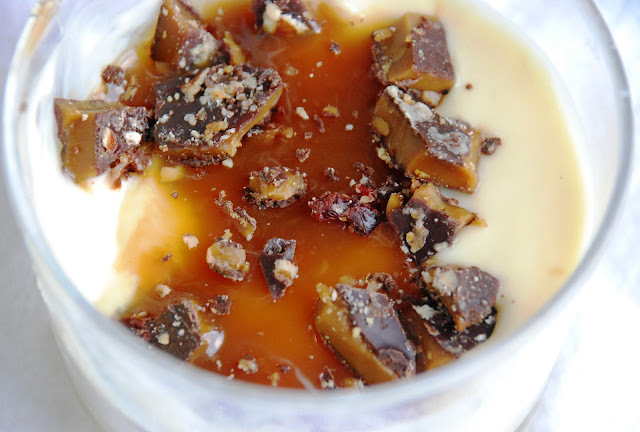 I loved the Osso Bucco special but the true star of the meal was a magnificent butterscotch panna cotta capped with a caramel sauce and a dollop of mascarpone. This dessert was the best I have ever had anywhere. I savored every bite with my tiny, demitasse spoon while fighting off my family who were all into it for just one more taste. Me, the ultimate queen of a split, finally found something that I was not into share. I made this version at home the following Sunday and it was so delicious that I made it again the very next day. What surprised me is that I found two recipes – one easy and one hard. I chose the easy one and much to my surprise, it was almost like Parma’s. Let set in the refrigerator for a good 8 hours. Since I could not find Veal Shanks at the market this week, I opted for rich, meaty oxtail. I was fresh off my dinner from Parma 8200 and was in need of a fix for long, slow braised meat. I love cooking this way because once you pop everything in the oven, you’re off the hook. Just set your timer and coast. 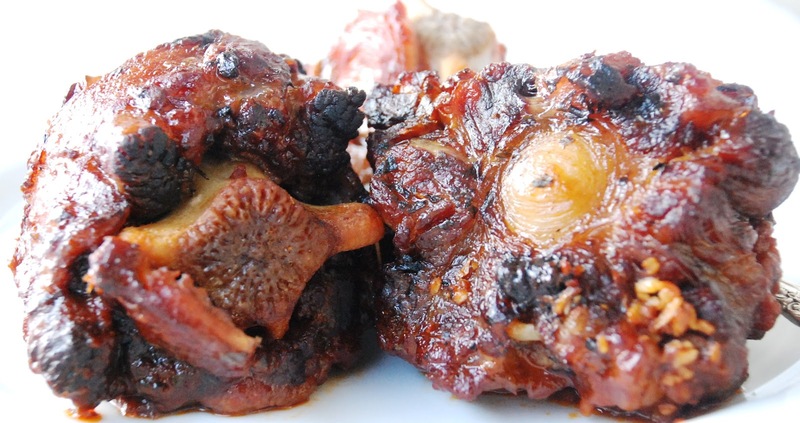 Oxtails, a very inexpensive cut, were so delicious that this could become one of my Sunday winter standards. Sprinkle the oxtails liberally with House Seasoning on both sides. Coat the bottom of a heavy oven-proof Dutch oven with the olive oil. Once heated, add the oxtails and sear on all sides. Remove and set aside. Scrape up the brown bits from the bottom of the pan. Add the beef broth, red wine, Worcestershire sauce, and garlic cloves. Stir. Add basil, oregano, bay leaves, hot sauce, tomato sauce, and the reserved oxtails. Stir to combine all ingredients together. Cover tightly, place in oven, and bake for 2 ½ to 3 hours. Remove from oven and bring to a simmer on stove top. Add the sweet onion wedges, red potatoes, garlic and carrots to the pot. Cover and simmer until potatoes are almost tender, roughly 15 minutes. Serve oxtails with the vegetables over hot buttered rice.